Delaware Arts Info: Bootless Stageworks' "Bug" is a Creepy-Crawly Experience! Bootless Stageworks' "Bug" is a Creepy-Crawly Experience! David Hastings and Heather Ferrel in Bug. I LOVE Tracy Letts! He’s a masterful playwright who’s biting humor peeks through the dark depths of his plays. His psychological thriller, Bug is quite an experience. The play is an engrossing piece of theater -- questioning how far someone will believe in another person’s distorted reality, because of the need to connect with another human. Director and Scenic Designer Rosanne DellAversano has created a grim environment, which is needed for this ominous tale. Her vision keeps the audience engaged and questioning what will happen next. Set in a Motel 6-like room in Oklahoma, where a honky-tonk waitress, Agnes White (Heather Ferrel) lives, drinks and does drugs with her friend, Roni (Melissa Kearney), and hides from her abusive ex-husband (David Hastings) who has recently been released from jail. One day Roni visits Agnes and brings a man, Peter (Geremy Webne-Berhman), whom she has recently met. While Roni leaves, Peter stays and begins a fast and tumultuous relationship with Agnes. Peter has a questionable past. He believes the military has contaminated his body and is now conspiring against him. He draws the lonely and vulnerable Agnes into his twisted world. His reality becomes an escape for Agnes, who is trying to forget her melancholy past and connect emotionally and physically with a new man. Ms. Ferrel and Mr. Webne-Berhman are compelling as Agnes and Peter. She evokes great sadness and despair, while he evokes madness and fear; think Norman Bates, appearing innocent, but truly menacing. Mr. Webne-Berhman’s glaring eyes easily make the skin crawl -- like feeling a bug walking up your arm. However, it is hard to understand him towards the end of the play, due to his lisp caused by his character’s self-induced mouth-infliction. Bug is not for the faint of heart, but it is a unique play that will ignite great conversation after leaving the theater. 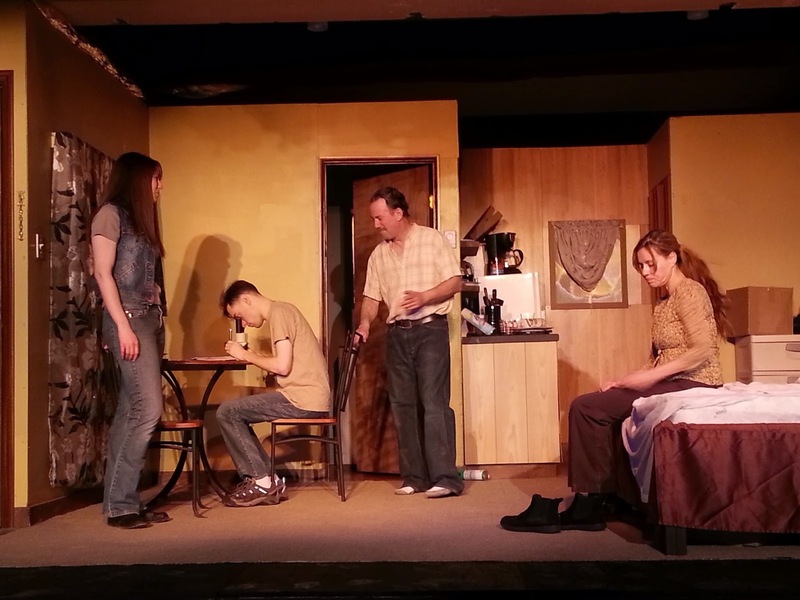 Bug runs through March 14, at St. Stephen’s (1301 Broom Street, Wilmington).